Using heat transfer vinyl and my Silhouette, I made these little onesies. 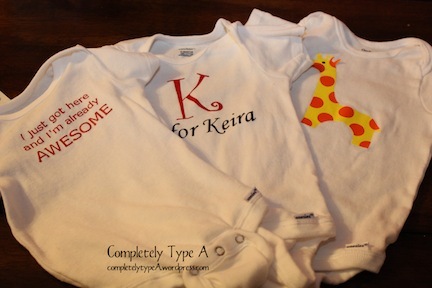 The “K is for Keira” ended up being my favorite. Super easy!